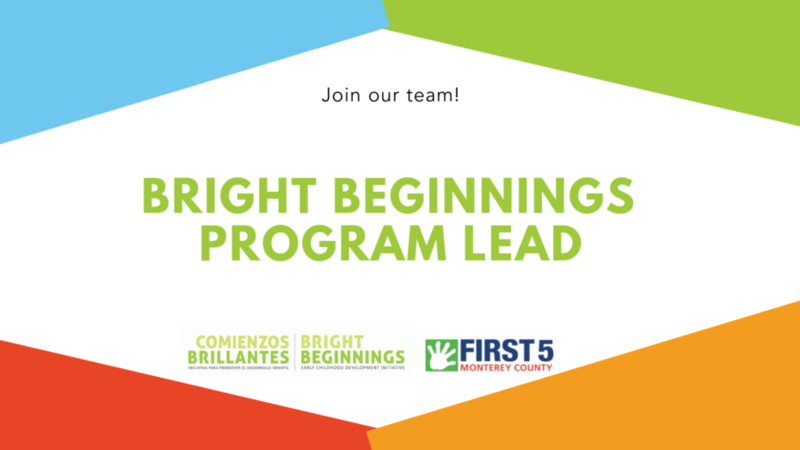 Bright Beginnings Lead (employee of First 5 Monterey County — reports to co-chairs of the Bright Beginnings Early Childhood Development Initiative and the Monterey County Children’s Council). TO APPLY: Click here for more information and to apply. Priority screening will begin on Wednesday, April 17, 2019. Position is open until filled.